Fox has set a January 14, 2019 premiere date for season one of The Passage. The midseason series is based on the bestselling book trilogy by Justin Cronin and was adapted by Liz Heldens (Friday Night Lights). In addition to announcing the official premiere date, Fox released a new minute and a half preview of season one. 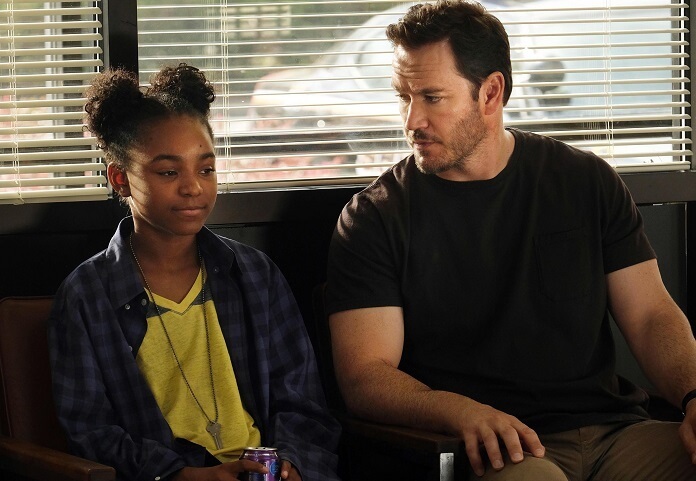 The cast of Fox’s primetime action drama includes Saniyya Sidney (Fences, Hidden Figures) and Mark-Paul Gosselaar (Pitch). Jamie McShane (Bosch, Bloodline, Sons of Anarchy), Caroline Chikezie (The Shannara Chronicles), Emmanuelle Chriqui (Entourage, Murder in the First), Brianne Howey (The Exorcist), McKinley Belcher III (Ozark, Mercy Street), Henry Ian Cusick (The 100), and Vincent Piazza (Boardwalk Empire, Rescue Me) also star in season one. The behind the scenes team includes Emmy Award winner and Academy Award and Golden Globe nominee Ridley Scott (The Martian, Gladiator) and writer/director Matt Reeves (Dawn of the Planet of the Apes, Cloverfield) as executive producers. Liz Heldens, David W. Zucker, Adam Kassan, and Jason Ensler also executive produce. The pilot was directed by Marcos Siega and Jason Ensler. The Passage will air on Mondays at 9pm ET/PT. The Passage focuses on Project NOAH, a secret medical facility where scientists are experimenting with a dangerous virus that could lead to the cure for all disease, but also carries the potential to wipe out the human race. When a young girl, Amy Bellafonte (Sidney), is chosen to be a test subject, Federal Agent Brad Wolgast (Gosselaar) is the man who is tasked with bringing her to Project NOAH. Ultimately, however, Wolgast becomes her surrogate father, trying to protect her at any cost. Brad and Amy’s journey will force them to confront Project NOAH’s lead scientists, Major Nichole Sykes (Chikezie) and Dr. Jonas Lear (Cusick), as well as the hardened former Navy Operative Clark Richards (Piazza), whom Brad trained. It likewise brings them face-to-face with a dangerous new race of beings confined within the walls of Project NOAH, including former scientist Tim Fanning (McShane) and death-row inmates Shauna Babcock (Howey) and Anthony Carter (Belcher). In seeking out any allies he can find, Brad also turns to his former wife, Dr. Lila Kyle (Chriqui), for help.